High Pressure Laminates (HPL) are decorative laminates applied to a composite core with high levels of pressure to seal and secure the bond between the core and the laminate material. 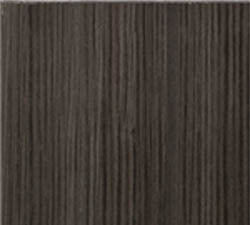 Laminate doors and drawer fronts have a band around the edge to conceal and protect the composite core. Typically the core is made of MDF or Particleboard. Laminate is available in a wide variety of colors, sheens, textures, and designs; including solids, wood grains, abstract designs, and textures.